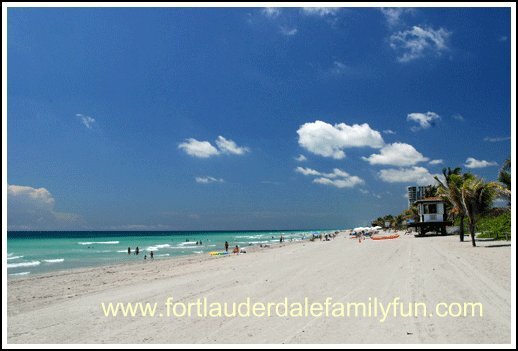 Fort Lauderdale and the surrounding South Florida area is one huge outdoor and indoor playground for families who like to have fun together. Located between party-loving Miami to the south and glamorous Palm Beach to the north, the vast Atlantic Ocean borders the whole eastern edge of the area and the great Everglades is not very far away to the west. The attractions of Orlando are only about 3-4 hours away, and it takes a little less time than that to get to laid-back Key West by car. (Of course, it all depends on how fast you drive. You can get to these other places even faster by plane). The Fort Lauderdale area, also known as Broward County or Greater Fort Lauderdale, is not necessarily the sort of forgotten middle child sandwiched between more visible places. At one point, it used to be known as the place to party for thousands of young students from all over the country to drink and cause mayhem during Spring Break. But lucky for everyone, the city has grown out of its wild-child days and has settled into a diverse and internationally-acclaimed city. Known for its vast network of canals that’s earned it the nickname of Venice of America, yachts and sailboats line the docks of luxurious homes along these canals. It’s a place that’s outgoing and fun but also relaxed. There is a certain upscale chic feel about many parts of the area, but it’s still quite casual. But is it a place where you can take your family? Well, yes! This is a wonderful destination for everyone. We have great weather all year round, gorgeous beaches where you can feel soft, warm sand under your feet. The Fort Lauderdale area has unique family attractions and first-rate shopping all blended with the natural beauty of Florida, plus the appeal of being in a metropolitan city. Wonderful family beaches that are famous the world over. They're clean, well-maintained, and offer so many convenient amenities. Many of the city's beaches have earned Blue Wave Beach certification from the Clean Beaches Council. Water activities for everyone! Fort Lauderdale has one of the best diving and snorkeling spots in the United States. You can sail on the Atlantic, paddleboard, boogie board, even surf to your heart’s content, or have an extraordinary fishing experience. Shopping opportunities from glamor to bargain hunting – you’ll love shopping for yourself and for everyone in your family at the hundreds of stores and boutiques located in malls, plazas, flea markets and chic streets all over the city. Fall in love with the area's natural side - turtles nesting on the beach late at night, birds in formation flying high above near the beaches, towering trees and tropical flowers in bloom all year long. You'll find all this information in this website so that you can make decisions on what to do and see in the Fort Lauderdale area. You'll discover that there are plenty of things as well as experiences that will give you and your family great memories of time well spent together. If you’re looking for something to do that the whole family will enjoy, you’ve come to the right location! 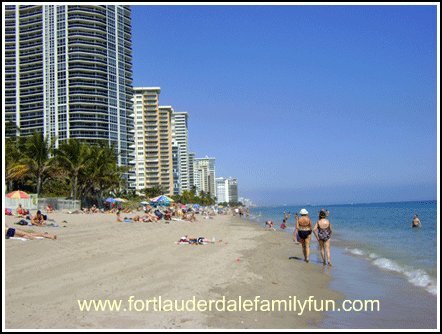 Fort Lauderdale really is a fantastic place for families to visit and explore. Are you looking for more information on what to do for your next family vacation in the sun? Maybe you live around the area and you’re searching for something new to do with the kids this weekend. We'll be adding more pages of information and pictures on a regular basis as our own family travels in and around town, experiencing what there is to see and do and then passing all what we find on to you.